I must admit that I was quite skeptical when I heard about this new feature earlier this year. One of the main reasons of my skepticism was that I could not find the right use case from an end-user perspective. 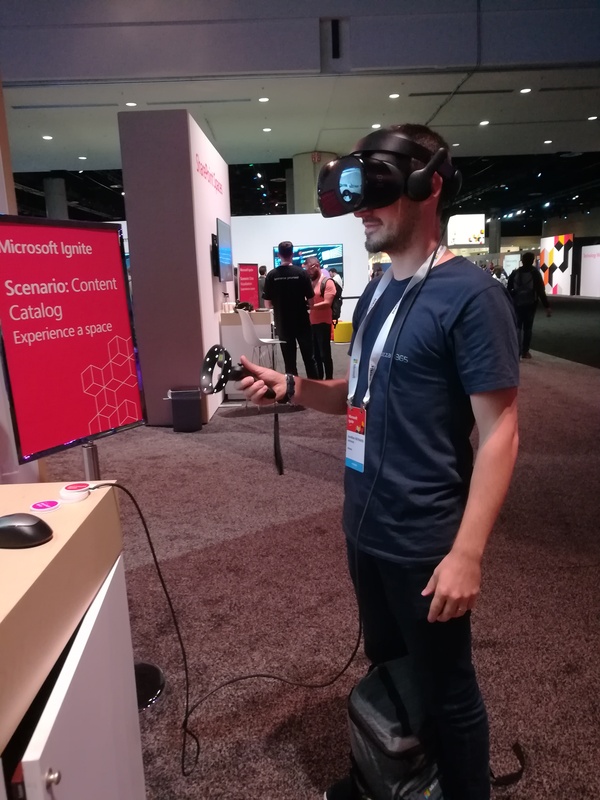 During the Microsoft Ignite, 3 booths were available to get our hands on this new solution, so why not testing this and trying to change my mind ? 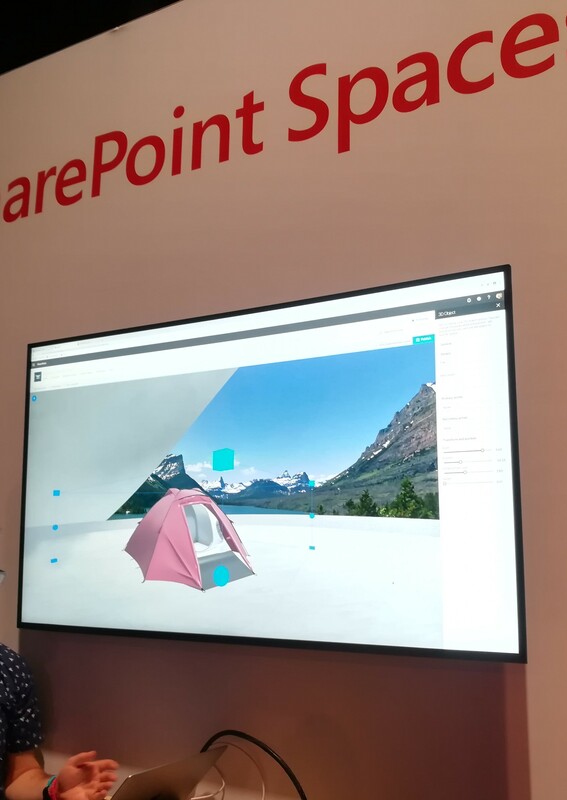 It started with a quick introduction from Vidya who’s part of the Microsoft SharePoint Space product team. I discovered that there are already 7 webparts developed, and more to come. 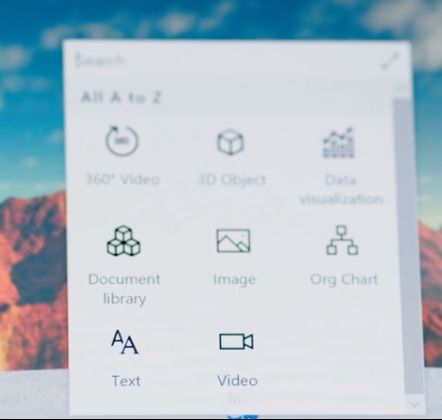 Microsoft teams already using this feature internally, yet I couldn’t find if it would be easy to programmatically convert or extend a webpart so they support the 3D glasses, but I guess it’ll be possible with PnP in due time. So what about the rendering ? Though it’s still at the early stage for this technology, I can really see the potential in an industrial environment, especially for the FLW (First Line Workers) when browsing the details of a piece and following a specific process which could be a « Process viewer WebPart ». And folks, that’s the key take away here : the WebParts. My skepticism relied on the absence of solid user scenarios that could justify the investment on this technology, but knowing that it relies on webPart, I can easily imagine specific webparts for supply chain processes, where you trigger the right process with the controller, and it points out the manufactured pieces and the associated steps to build the piece. Also, knowing that FLW and Product teams could share and use the same Site and interface could really benefits for the communication for the whole building process. 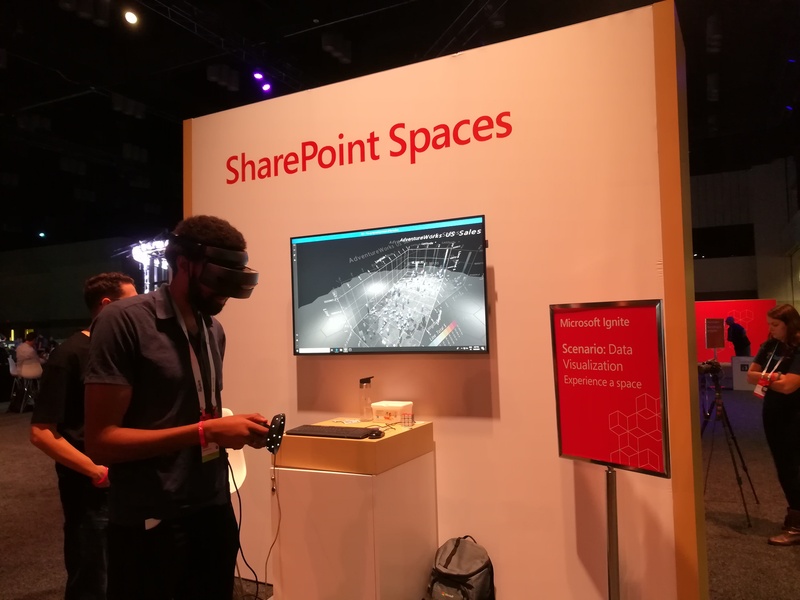 From a technology standpoint, it relies on BabylonJS , GLTF format for 3D scenes and models, and the HP Windows Mixed Reality for the headset and the controller.